Karen Dreyer (Practice Administrator) - Andrew Goldstone M.D. Karen, our practice administrator, has worked in the Health Care field for over 34 years. She has earned an AA degree in Business Administration and over time, Karen has lived through the many changes that have occurred in health care. With all of this “on the ground” experience, she has gained much insight into how to effectively manage a medical practice. She has managed and consulted in multiple specialties and has an extensive background in medical billing and accounts receivable. Karen spent 10 years serving as the Business Office Manager for a large ENT physician practice. 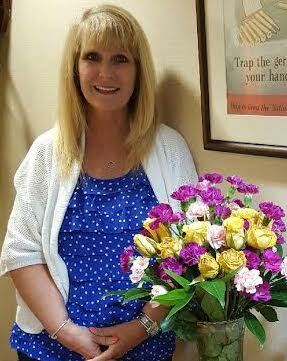 We feel very fortunate to have Karen serving as our Practice Administrator.